Help us honor inspiring LGBTQIA+ business leaders at this exclusive brunch event. 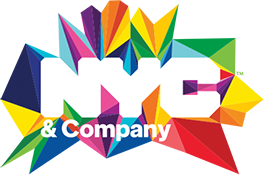 Now entering its seventh year, NYC Pride, the National LGBT Chamber of Commerce, and New Orleans Tourism are excited to welcome all to another delicious year. The Pride Luminaries Brunch celebrates business leaders that have made an impact on LGBTQIA+ equality in the workplace throughout the year. So dress to impress and join industry insiders, media mavens and proud politicians for what will be the brunch affair of the season. Tickets include four hour unlimited open bar, VIP giftbag, and delicious brunch buffet. Proceeds go to benefit NYC Pride and its annual free events such as Youth Pride, Family Movie Night, The March, PrideFest, and more!